Grand. Theft. Auto. Say those three words and any gamer will instantly retell their favorite gun fight, best heist, best use of the truck ramp, or how they once outlasted the cops for over an hour. Rockstar has created a franchise in which taking the role of the bad guy creates a unique game play where no rules need to be followed. Many games have followed suit in the open-world sandbox-style gameplay, but GTA remained supreme. Now, Rockstar has announced GTA Online, taking what they built and throwing it online. It’s not your average online shooter, but an immense open world where players are thrown in an ever-changing world. 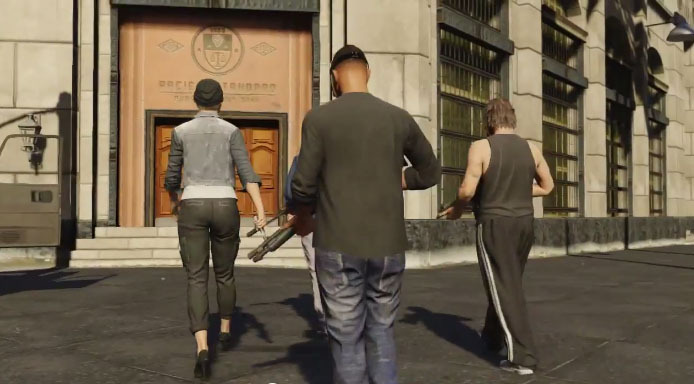 GTA Online doesn’t play any different from your average GTA game, but instead allows you to go online to make friends, or enemies. Taking place in the fictional city Los Santos, upon landing we are provided with endless opportunity and endless reckless fun. 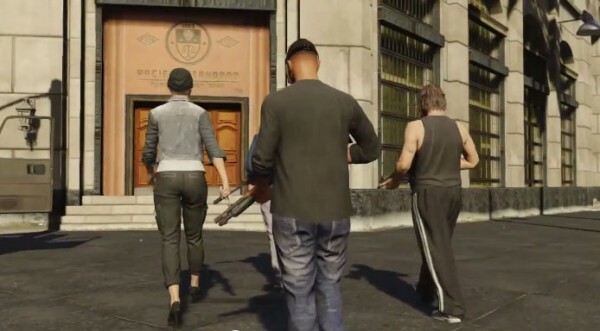 Crews can also be created where players work together to rob banks or liquor stores. The same crews can be used to play standard online matches (none specific were stated). In true GTA fashion, jobs or missions can be completed for money and respect, which can be used to customize your character, and even buy land (like an apartment) where your friends/crew can all hang out. In true MMO fashion, everything you do helps progress your character in the online world, which introduces new characters and missions as you progress, as well as rewards. Rockstar is promising constant updates, plus allowing us to create our own races and death matches which can be shared with friends or anyone in the world. CVG recently had an interview with Rockstar North president Leslie Benzies in which it was revealed that GTA Online will be its own game separated from Grand Theft Auto 5, but every copy of GTA5 will have free access to GTA Online starting Oct 1, 2013. With the ability to play any custom matches from anyone in the world, the freedom to roam the city to complete missions (solo or with someone) or just cause mayhem, GTA Online is showing that there’s never a dull day in Los Santos.